" To Love Oneself is the beginning of a life long romance"
Currently ranked as the richest Black woman according to Forbes. 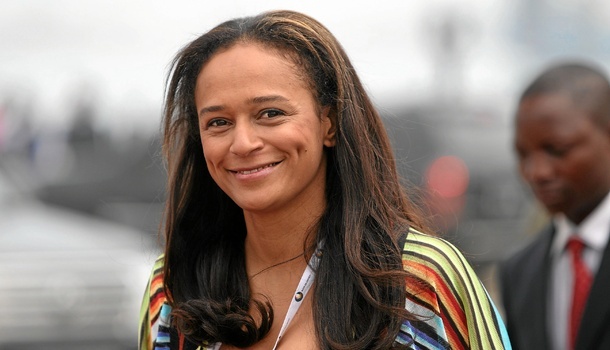 Another notable mention is Isabel Dos Santos, Daughter of the president of Angola. Mrs Alakija and Santos are the first 2 women to make it into the list of Forbes Africa's 40 Richest. BUT....... this is Africa we are talking about. Enemies of progress are crawling out of the woodwork in blogville. Citing corruption and nepotism as their reasons for disapproving Forbes' acknowledgements. 1. You cannot ask someone to apologize for being born into a wealthy family. 2. However, You can try to hold them accountable(morals) for how they use the great opportunities they were born into. Did they join their family to loot the country for their private gains? Did they use that platform to spread a benevolent message? Something that is for the good of all the citizens of that country? 3.This is Africa. Money or no money, Africa is lagging behind by a million miles when it comes to allowing women in certain leadership roles. For those reasons, I celebrate their achievements. 4. Is it fair to call someone born into wealth "successful"? in the same way you gauge someone who was born with nothing and worked their way up? 5. Let's not be naive. People think Africa is the only corrupt continent in the world but corruption is everywhere. In america its called blue coloured criminals. Its called " was your family member an alumni of Harvard?" Don't take it personal. Its Just Business. Someone has to clean the toilets. Do you think people like former president Bush's girls, President Obama's daughters or former President Clinton's daughter will not have a ridiculously UNFAIR advantage in the business world should they choose to pursue that avenue? 6. Lastly, YES, these women were born into wealth. BUT they arent the only ones. There are many who have been born into the same circumstances but where not responsible/smart enough to turn those opportunities into a fortune. These Women did. You don't get to where they did by just being a spoilt brat with no business sense or work ethics. And they did it in a continent over run by men with very little opportunities for women.